If you can't decide what to send, this is the perfect choice for you! 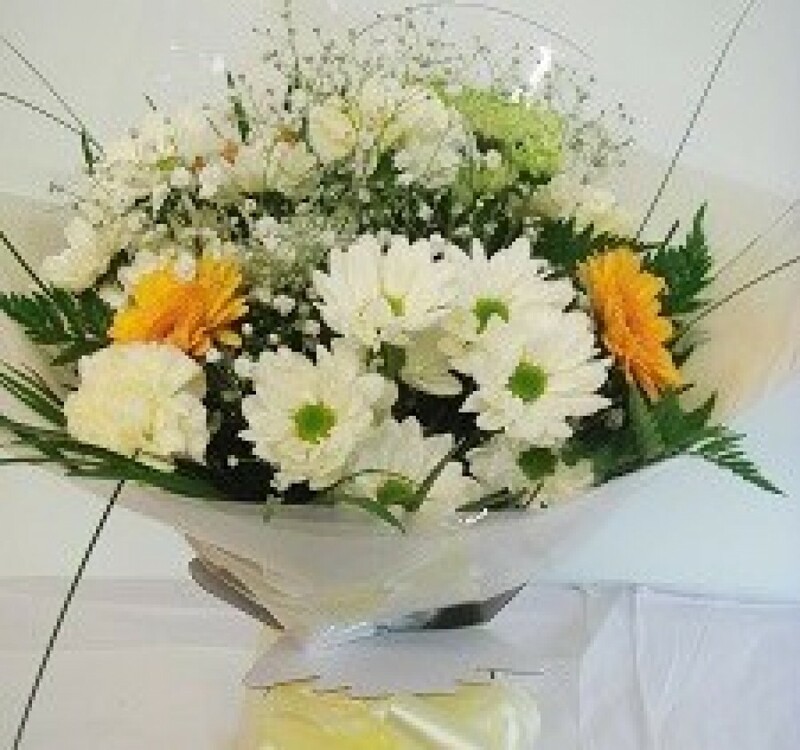 Whether it is Spring, Summer, Autumn or Winter, we will make you a beautiful mixed bouquet which will contain the best quality seasonal flowers for the time of year. There will be at least four different varieties of flowers which will be carefully choosen to complement each other to ensure they will look amazing. The Hand-Tied bouquet is arranged in the hand and tied in a bunch, with the stems cut level to create a sprial effect. The stems are wrapped securely with patterned cellophane and ribbon to hold a water reservoir so the flowers are delivered in water. The flowers are gift wrapped in colour co-ordinated tissue paper and patterened cellophane. Together with the flower food to ensure longer life and your personal card message, this is the complete package which will sure to be admired by all! If you have a specific colour scheme you would like, please state this in the special request box. Alternatively, you are welcome to leave the colour choice up to us.